Printed in Sweden on the absolutely fabulous "Tencel N92" Racerback tunic vest. 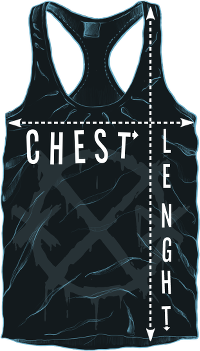 No band logo on this one, for once :). Make sure you check the measurements, they're a little different on this one! very nice. not many bands out there do something different for women! this one is WHITE and has trendy shape. please keep the ones like this one coming! I love this top! Great quality, design + stylish. Definitely my favourite Crashdiet shirt I own now! 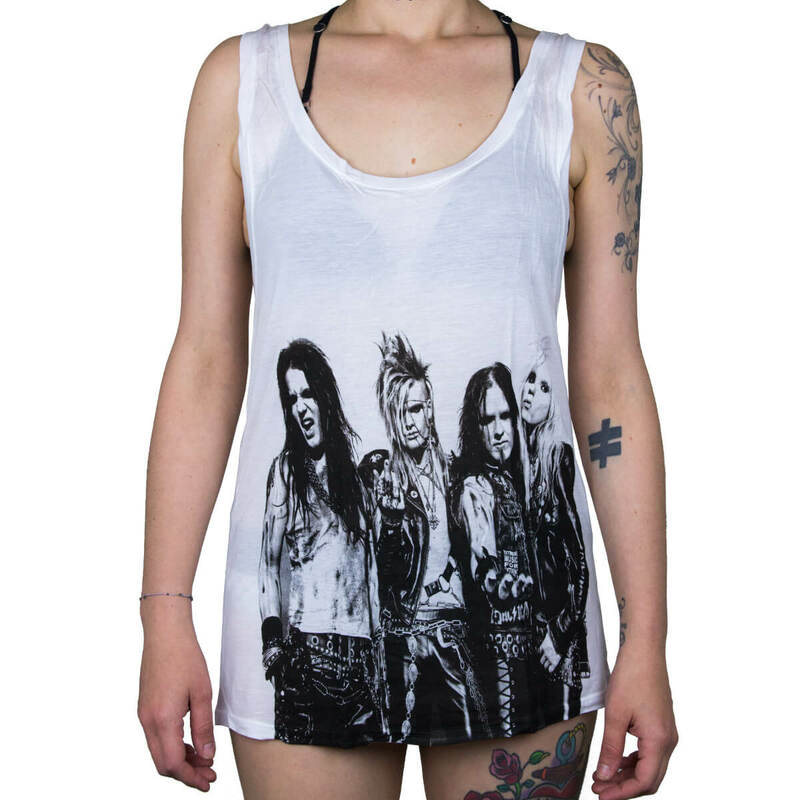 Once again, another true classic rock shirt to make your freinds envy & you proud, as a true CrashDiet fan. The fabric is unique, with its smooth fabric, essential for those hot summer days. See all 32 customer reviews. S 42.5 cm / 16.75" 67 cm / 26.5"
M 45 cm / 17.75" 69 cm / 27.25"
L 47.5 cm /18.75" 71 cm / 28"